Doctor Who: “It Survived The Time War” – Dalek History From McGann to Capaldi | Warped Factor - Words in the Key of Geek. After the recent regeneration of the Daleks, Doctor Moo looks at how they got to where they are today. 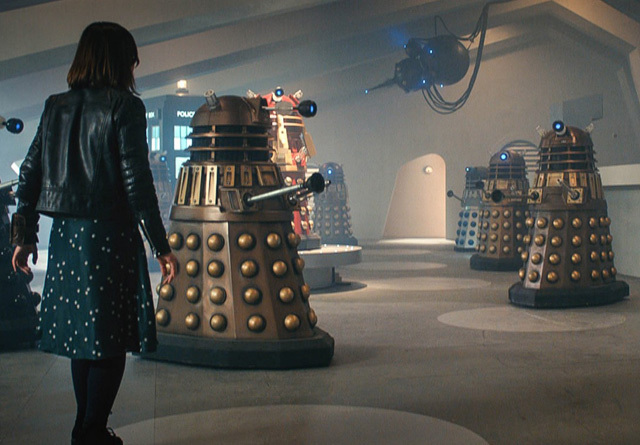 Recently Whovians worldwide were treated to a Dalek epic with The Magician’s Apprentice/The Witch’s Familiar kicking off the ninth series (or 35th season if you prefer) with a bang. But wait a minute! Weren’t they all destroyed a decade ago? Yet here we have a whole planet filled with them. Let’s go back in time to the Time War and look at how they can possibly still be alive. In typical timey-wimey fashion, we didn’t get to see much of the Time War itself until a full 8 years after we first heard about it. We learnt that the Time War began at some point in the life of the Eighth Doctor, as many had suspected. He refused to fight but eventually, with some persuasion from the Sisterhood of Karn, he chose to regenerate into the War Doctor to finish the war and put a stop to it, as shown in The Night of the Doctor. He did this in The Day of the Doctor by sealing away Gallifrey with the help of his other incarnations and The Moment. The Daleks exterminated each other, however the timelines were out of sync so only the 11th Doctor could remember what really happened. But there were survivors. 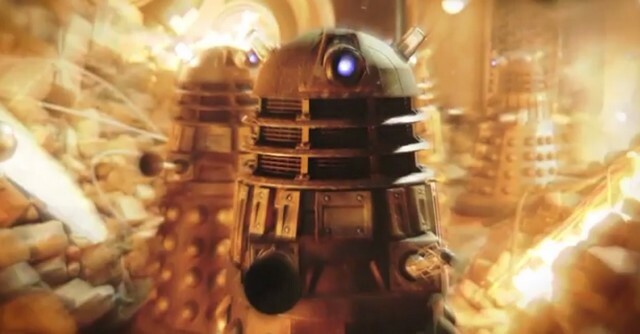 One was Dalek Emperor who, as seen in Bad Wolf/The Parting of the Ways, escaped to Earth in the far-off future where he took over Satellite Five. 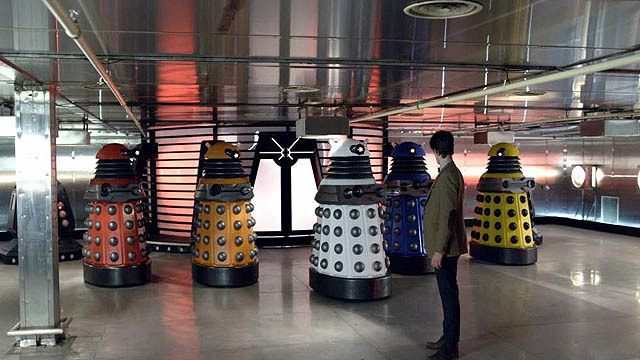 There he kidnapped people and converted them into a whole new empire of Daleks. This didn’t last long because the Ninth Doctor, Rose Tyler and Jack Harkness put a stop to it, and Rose killed them all in the persona of the Bad Wolf. It was this encounter that cost the Ninth Doctor his life, and that should’ve been it for the Daleks as well, but the Emperor wasn’t the only survivor. However, during the war, this same Emperor had created the Cult of Skaro who escaped in a void ship. They had hidden away millions of Daleks in the Genesis Arc but the Tenth Doctor sent them all (and the Cybermen with them) back into the void, albeit at the cost of his beloved Rose, in the series two finale Doomsday. 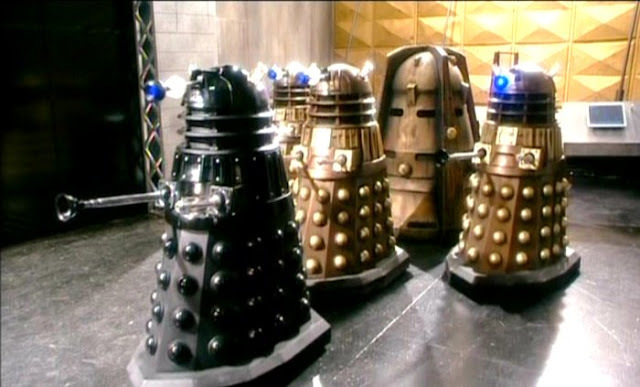 However the Cult used an emergency temporal shift to escape back to 1930s New York where they attempted to have the Daleks in Manhattan survive by undergoing an Evolution of the Daleks, but they came up against the Tenth Doctor (again!) and his new companion Martha Jones. Only Dalek Caan got away this time. 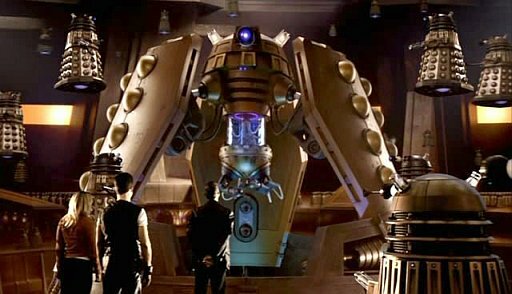 Caan ended up in the Time War and rescued Davros who gave up his own body to resurrect the Dalek race. 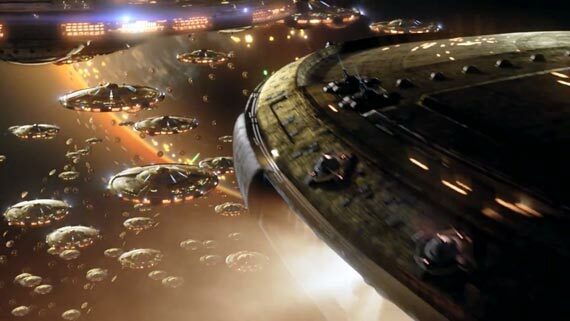 They began to start stealing planets, including The Stolen Earth, to generate a reality bomb, but in Journey’s End the Tenth Doctor, the Meta-Crisis Doctor, the DoctorDonna and assorted others defeated them. It appeared to the entire universe that the Daleks had been well and truly destroyed, but in truth one Dalek ship had managed to survive and fall through time. Emerging in 1940s Britain, as seen breifly in The Beast Below and more prominently in Victory of the Daleks, they found a Progenitor device that they used to create a New Dalek Paradigm. The Eleventh Doctor was forced to let them escape so that London wouldn't be blown up. 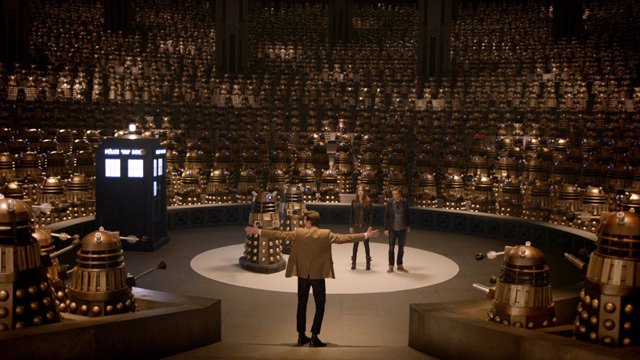 They returned to their own time and there restored Dalek civilisation (including the Daleks seen in The Pandorica Opens/The Big Bang, The Wedding of River Song and Into the Dalek) led by a parliament. Oswin Oswald, a splinter of Clara Oswald trapped within the Asylum of the Daleks, wiped the memory of the Doctor out of the Dalek Hive Mind, but later they had memories of the Doctor's encounters with them restored by harvesting the information from the mind of Tasha Lem and her associates during the siege of Trenzalore. This siege lasted 900 years and eventually caused the Eleventh Doctor to die. The New Paradigm wasn’t accepted by all the new Daleks. 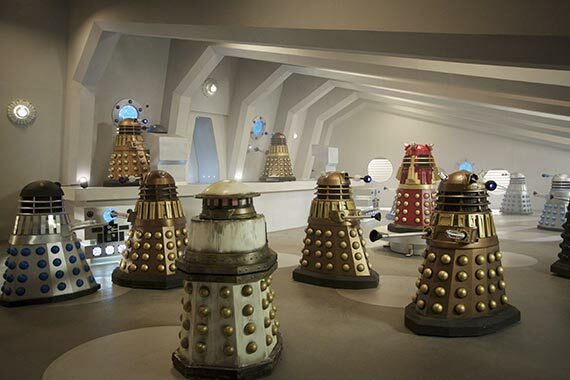 The Doctor Who Experience tells us that the Daleks claiming to be “the pureblood children of Davros” even went so far as to exterminate the New Paradigm! It's likely that this was an act of fan service after the New Paradigm was so badly received by the fans (I still love you Strategist Dalek!) but the New Paradigm’s absence in the series nine opener, The Magician’s Apprentice/The Witch’s Familiar, suggests that it’s being treated as canon, for all intents and purposes. 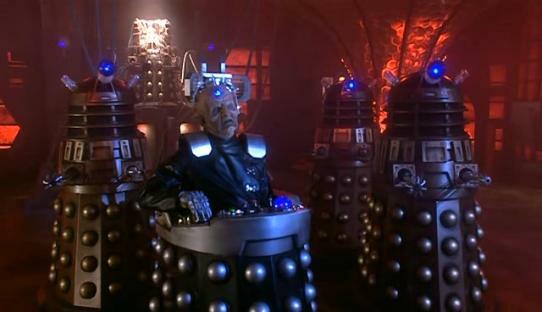 It is these Daleks who felt such a strong attachment to their home that they had Skaro rebuilt (not for the first time) and went looking for Davros. With him at their side they went to Skaro and made the planet their home again. This lasted until they came up against the Twelfth Doctor, Clara Oswald and the 19th(?) Master when Davros summoned them to Skaro so that he could steal regeneration energy from the Doctor. This energy had the unfortunate side effect of reviving the dead and decaying Daleks of Skaro’s sewers so that they could revolt and take over from the Daleks above ground. Where this plot development will go is anyone’s guess but I look forward to finding out in future Dalek stories. This brings us right up to date, and now that the Daleks have got a full empire again they’ve won the Time War and the Time Lords have lost, right? Not so. Because the Time Lords are still out there somewhere waiting to return. And rumour has it we’ll be seeing Gallifrey in the series nine finale so maybe they’ll be back sooner rather than later…?